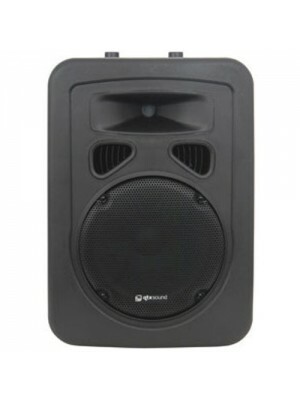 A moulded ABS speaker cabinet with built-in amplifier which provides a superb full range sound suitable for small venues, making it ideal for mobile DJs, live sound reinforcement and PA installations. 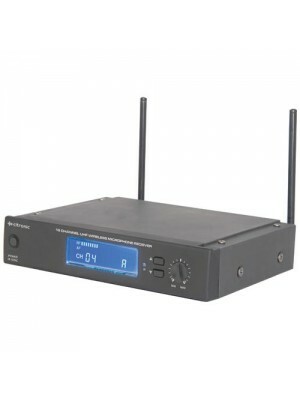 Features: 2-way bass reflex system 35m..
A half width rack-mount 16 channel PLL synthesised UHF wireless receiver with an infrared frequency sync for use with compatible handheld and beltpack transmitters. IR remote frequency sync Detachable antennae (BNC) Backlit LCD display Di..